It was a royal gathering last Friday night at the 2017 Nashville Boogie Vintage Weekender; with the Queen of Rockabilly taking the Tennessee Ballroom Stage at Opryland Hotel and the Queen of Outlaw Country quickly following at the Nashville Palace, music lovers knew that they were in for a magical evening full of amazing and divergent performances. 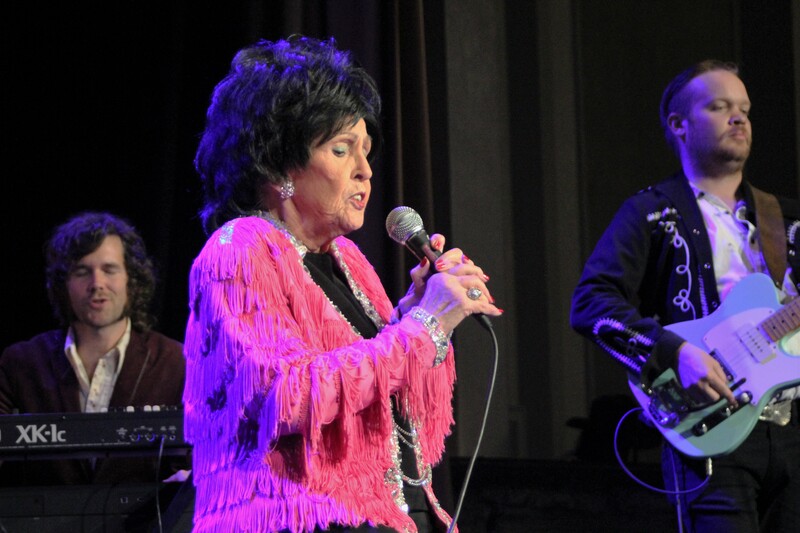 The Boogie puts on shows at four stages, so you could tell something special was happening when folks flocked from all over the festival to the Tennessee Ballroom Stage to see Ms. Wanda Jackson. With a regal air, she reigned over the stage and entranced the room before she even hit her first note. 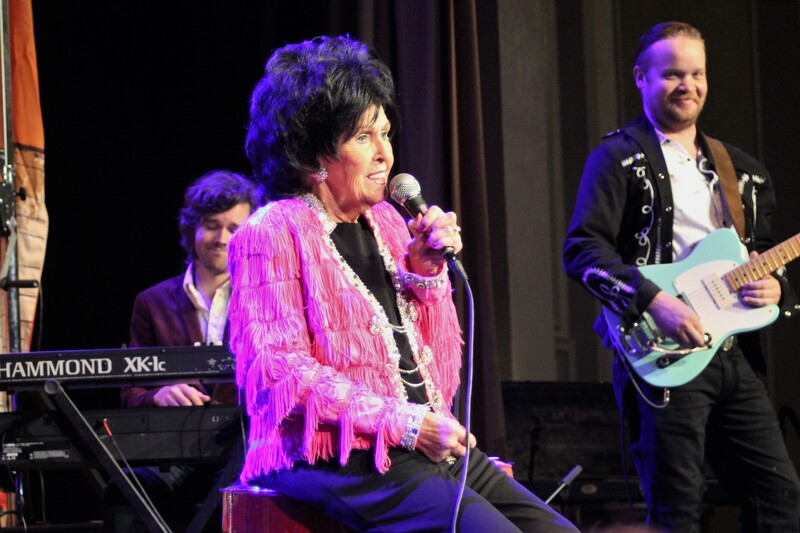 Seeing Wanda Jackson perform is not merely a concert, it’s an experience that everyone should have. Vocally, Jackson has not lost a step. Her voice still draws out the twangy rock tones that hearken back to the purest days of true rockabilly music. Whether singing her own songs, or remembering the influences that touched her career, Jackson lets loose with a fire that can only come from someone whose soul is burning with passion for her craft. She has also surrounded herself with an outstanding backing band, The Ladybirds, who rounded out the lineup. It was in sharing her history–where she came from, how she felt about her journey, her successes and challenges as an artist–that drew the audience in close to learn more about the person who is the musical legend. Of course, Jackson’s career will always be linked to the King of Rock, Elvis Presley, of whom she spoke fondly and of the opportunities he provided to her as a young performer. The crowd roared in approval when she ripped into the King’s “Heartbreak Hotel” in tribute. While her show clearly touches on the sentimental, the party is still going on for Jackson and her legion of fans. 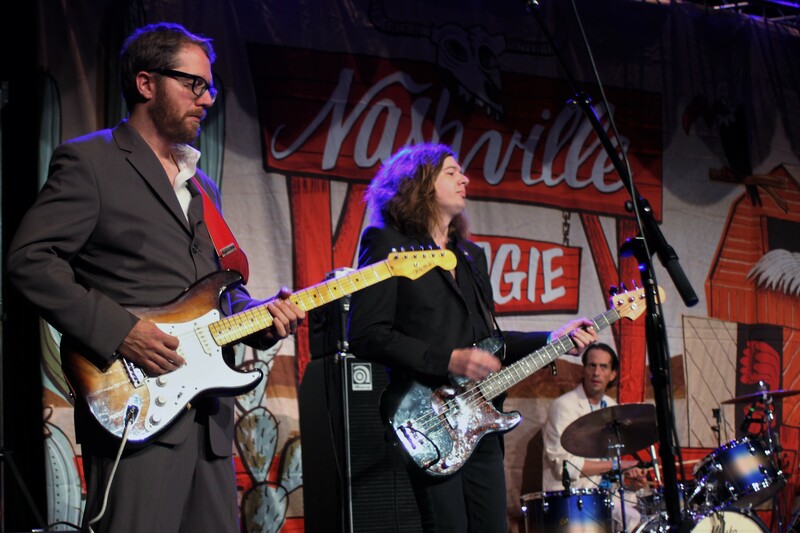 At the Nashville Boogie Weekender, there was no doubt who ruled the rockabilly stage. While writing this piece I learned of the recent passing of Wendell Dale Goodman. Mr. Goodman was Wanda Jackson’s longtime husband and manager. This came as a shock to me as Mr. Goodman was with Ms. Jackson at the Nashville show. We wish our deepest condolences to Ms. Jackson, her family, and the family of Mr. Goodman. Wanda Jackson is one of the most amazing singers I’ve ever heard and I’ve been listening to music for half a century.